Metal detectors, urine tests, and more await students. Here’s hoping teenagers from Hamilton, Ohio, enjoy their Spring Break. 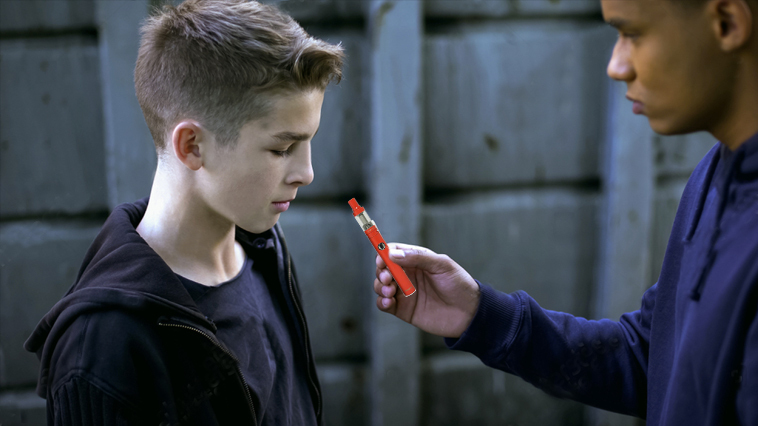 When they return to school, the ones who have experimented with vaping will face new layers of scholastic scrutiny. Detailing new security measures that will take effect April 8, Hamilton Superintendent Mike Holbrook sent out letters to families with children in the seventh through 12th grades, according to the Journal-News. As students return from Spring Break, a certain segment of the student body will be forced to endure searches for vaping devices via handheld metal detectors. For the students who are busted with e-cigarettes will have to submit a urine analysis test over the next 48 hours, according to the Journal-News. The term “random searches” Holbrook used in his letter should be concerning. Did school officials forget about the profiling problems caused by the New York Police Department’s “stop-and-frisk” policy in the 1980s? Before the new school rule went into effect, a group of concerned students criticized the move. Holbrook attempted to explain the philosophy of the searches. Anyway, to the students of Hamilton, Ohio. Welcome back to school. Metal detectors and urine tests await. Fore more news, check out our Vape News page!